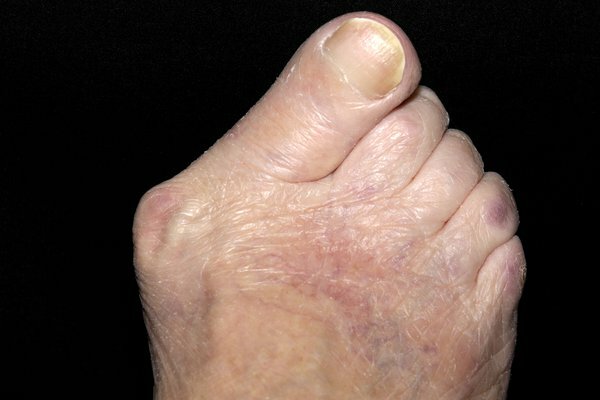 Bunions are bony lumps that form on the side of the feet. Surgery is the only way to get rid of them, but there are things you can do to ease any pain they cause. You may also have pain along the side or bottom of your feet. This is usually worse when wearing shoes and walking. Your GP might refer you to a foot specialist (podiatrist). You could also pay to see a foot specialist privately. A GP may refer you to a surgeon if your bunions are very painful or having a big effect your life. Surgery isn't done just to improve how your feet look. Surgery is the only way to get rid of bunions. The main operation for bunions is an osteotomy. Making a small cut in the skin over your big toe. Cutting or scraping away the bunion. Fixing your toe bone in place with metal screws or staples put under your skin – these are often left in permanently. Surgery is usually done when you're asleep under general anaesthetic. Most people go home the same day. Bunions sometimes come back after surgery. The cause of bunions is unknown. It's not clear if you can do anything to prevent them.